Known worldwide as the premier manufacturer of classic board games, Silverman & Co. continues the tradition of excellence with their new collection of Double 6 domino sets. Take a closer look at this thrilling combination of quality materials and craftsmanship, at an unbeatable price! 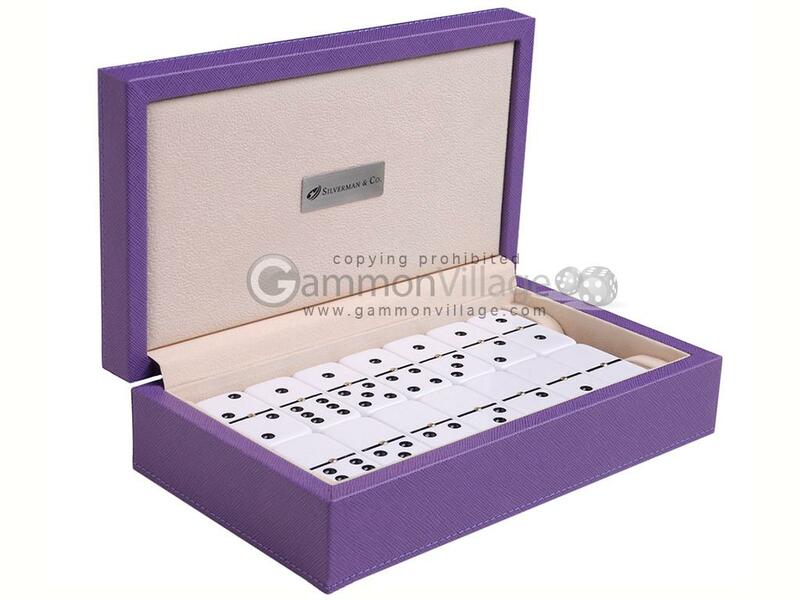 This Double 6 set of dominoes comes in a purple leatherette case, and contains 28 white dominoes with spinners. Case Size: 9 1/2" x 5 1/2" x 2 3/4"
Page P4867 Copyright © 1999-2019 GammonVillage Inc., USA. All rights reserved.